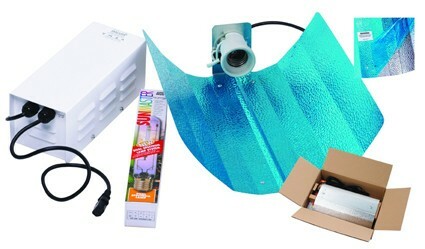 A great hydroponic grow light kit for anyone who wants quality equipment at low prices. The grow kit contains a high quality Venture Lighting air cooled magnetic ballast, dual spectrum grow lamp bulb and hammertone dutch barn reflector and is simple and straight forward to setup. Designed and manufactured in the UK this top quality complete lighting kit is an affordable option for any grower!